Downtown Dental Group in Manhattan, Kansas was founded on the belief that every patient should be well informed about how to achieve optimal oral health through dental care. Each patient that walks through our doors is on a different path to optimal oral health, and this is why Dr. Winter and Dr. Carpenter are committed to providing the best dental care to each of their patients. Downtown Dental Group has provided Manhattan, Kansas with a full range of dental care since 1986 and treats patients of all ages. Here are the services provided by our dentists, hygienists, and dental assistants. Dental cleaning and hygiene appointments are the foundation for achieving optimal oral health. Not only do our hygienists remove plaque and tartar build up, but Dr. Winter or Dr. Carpenter will also check in on your overall dental health. This is the time for your dentist to check for cavities or anything else that might require additional treatment. Our dentists will discuss your treatment options and ensure that you are fully informed about your oral health to help you make the best decision for treatment. In addition to being proactive with your cleaning and hygiene appointments, another key ingredient to optimal oral health is dental sealants. Dental sealants help protect against tooth decay. Typically, sealants are meant for children, but adults can benefit from them too. Sealants last about 10 years and will be checked at your cleaning appointments. Even with regular brushing, flossing, and cleaning appointments, teeth can decay. Even though we work to eliminate tooth decay, cavities can still form. 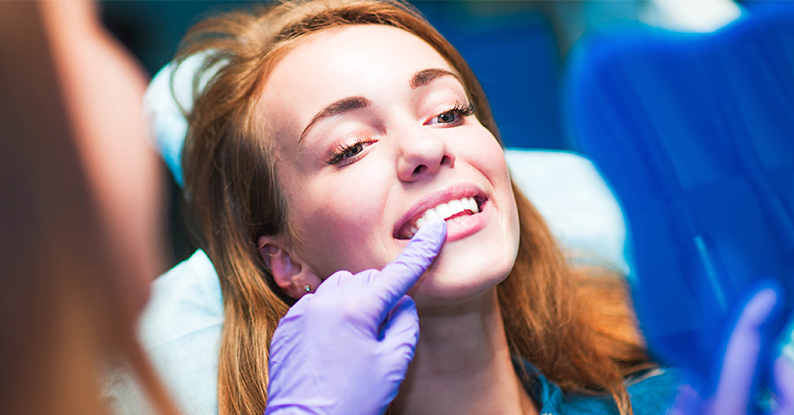 Our dentists provide dental care to fill any cavities that may have formed over time. There are a couple different options for treatment, and Dr. Winter and Dr. Carpenter will go over those options in detail with you to help you make the best decision for your dental health. Wisdom teeth extractions are almost a rite of passage with about 85% of people having their wisdom teeth extracted at some point in their life. Wisdom teeth, or third molars, appear between the ages of 17 and 25 in most people. If there is no room for them, or they grow in improperly, they can cause damage to other teeth or cause pain. Each person is different, so Dr. Winter and Dr. Carpenter will provide extraction services on a case-by-case basis. For some patients, a root canal may be necessary when the enamel on the tooth is so decayed that it no longer protects the interior of the tooth. When the interior of a tooth becomes infected or inflamed, a root canal may be necessary. As with all our services and procedures, our dentists will discuss the benefits and risks, and ensure that the patients are well informed about their dental care. When teeth decay past the point of repair with a filling, dental crowns or bridges become necessary. Crowns and bridges are ceramic caps that can be placed over a damaged tooth to protect or restore it. At Downtown Dental Group, we have invested in technology that makes crown appointments more comfortable and convenient for our patients. Crowns and bridges aim to make the patient get back to optimal oral health. Dentures will return your oral health back to optimal function when most of your teeth have deteriorated to the point that they can not be fixed with a crown or bridge. Our denture process at Downtown Dental Group requires up to six appointments. Our dentists will take their time making sure that your dentures are a perfect fit. This attention to detail ensures that you will be happy with how you speak, smile, and eat when it is all said and done. There is no better replacement of missing teeth than dental implants. Dental implants are realistic restorations affixed directly to the bone in your jaw, permanently anchoring new teeth. A dental implant case is fully customized and planned to fit each patient’s anatomy. Our dentists are committed to restoring your smile and oral health back to optimal functionality through dental implants. At Downtown Dental Group, we also offer additional services for dental care like cosmetic dentistry, TMJ and nightguard services, and even help in the treatment of sleep apnea. All of these areas combined are important in finding your path to optimal oral health. Dental care involves a wide range of services that Downtown Dental Group has been proving to Manhattan, Kansas residents for over 30 years. To schedule an appointment, call us at 785.776.0097 or fill out an appointment request form.